MockExamPrep.com – Page 2 – Are You Ready? Now you can manage your account preferences by updating your settings by going to “Account Preferences” section in your MockExamPrep.com account. We have removed “Update Profile” and “Change Password” options and replaced with a new “Account Preferences” section which will enable you to manage your profile, settings and your personal preferences at MockExamPrep.com. 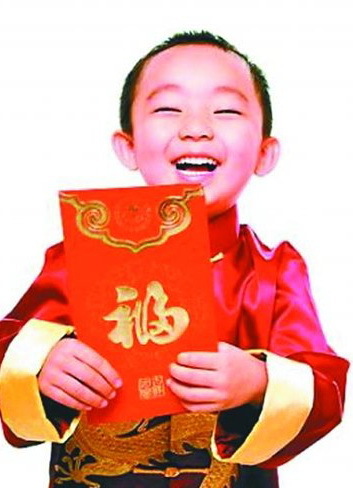 MockExamPrep.com wishes you and your family a Very Happy Lunar New Year. We hope this New Year brings with best of your personal and professional life and the rising sun showers Joy, Happiness, Luck and Prosperity. To start this new year with great opportunities and successes in your professional career MockExamPrep.com brings you with a great Chinese New Year Promotion with flat 20% discount on any mock exam purchase between 17th Feb. 2015 and 24th Feb. 2015. Are you facing issues or not able to understand MockExamPrep.com completely like how it works or how to appear for your mock exam or to review your mock exam you attempted previously? Not to worry, we have provided you with a great FAQs at MockExamPrep.com which will answer most of your queries instantly and without even contacting our support team or waiting for their reply. Please keep the below link handy in order to solve your queries instantly and do not forget that our Support Team is always be available to support you further on your queries or issues. We wish you Happy Holidays and all the best for 2015! Whether you’ve subscribed to our mock exams, or just visited us for a source of questions or just tried practice mock exams at MockExamPrep.com, we want to thank you for your continual support in 2014. It’s been a fantastic year for us and we have added many new exams for you this year and continue to enhance our database in the coming years. We saw a phenomenal responses to our mock exams and maintain to position us as Singapore’s one of the leading online mock exams provider and we couldn’t have done it without you – so thank you! We’ve got lots more exciting projects coming up in 2015 – we look forward to seeing you there! We have recently updated our CEI mock exam questions and have also added new questions to CEI mock exams SET5 and SET6. We request all our CEI candidates to review their CEI mock exams and re-attempt your mocks to review new questions and latest updates. Users who are currently subscribed to CEI complete mock exams with MockExamPrep.com, updated mock questions are automatically available to you as part of your current subscription, and you just need to re-attempt your complete mock exams in order to get the latest updates. We have updated our FRM Part II mock exam questions and have also added new questions to the existing FRM mock exam sets. We request all our FRM candidates to review their FRM mock exams and re-attempt your mocks to review new questions. Users who are currently subscribed to FRM Part II, updated mock exam questions are automatically available to you as part of your current subscription, and you just need to re-attempt your Complete mock exams in order to get the new questions and updates. In our continuing efforts to improve our user experience with MockExamPrep.com we have updated and improved several pages of the portal in order to make it more mobile friendly. Download and Install MockExamPrep.com App on your Android Mobile and start using it on your smart phone today.